Cross into the US if I have a criminal record? Can I cross into the US if I have a criminal record? Can I cross into the US if I have a criminal record or felony? Visiting the United States can be a complicated process if you have a criminal record in Canada. 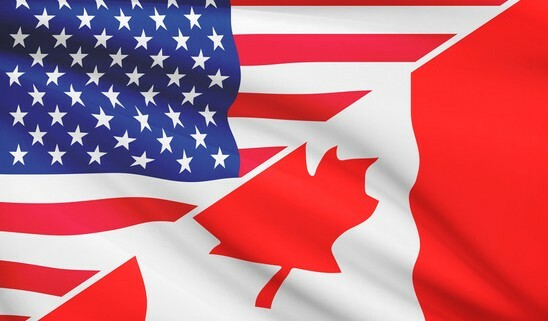 In this post our goal is to help you foresee any potential problems at the U.S./Canada border and to help you avoid these issues before you travel. The types of crimes that will cause problems when entering the U.S. are convictions of a “crime involving moral turpitude”. Some of the crimes defined under this umbrella include trafficking of controlled substances, prostitution, or money laundering. A list of these crimes is published by the U.S. State Department online. However, even the U.S. Supreme Court has not given a clear definition to crimes involving moral turpitude. Because of the vague definition of these offenses it can be difficult to determine whether or not you will have a problem crossing the border. Besides these crimes, anyone with multiple criminal convictions may also have issues at the border regardless of whether the offenses fall under this categorization. 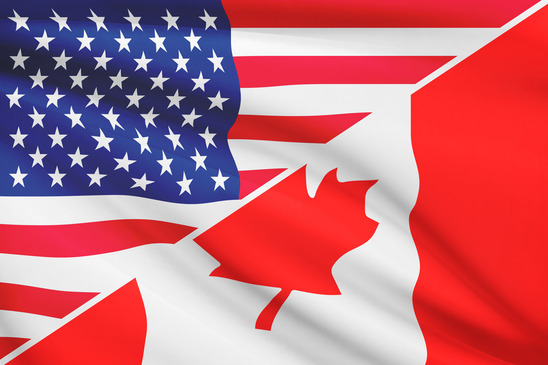 When attempting to cross the U.S./Canada border you may be completely denied entry into the country or you may receive a warning by the Border Patrol Agent. It is important to prepare in advance for any potential problems to steer clear of a confrontation at the border. How Can I Avoid Problems when Crossing the Canada/US Border? You can avoid problems when entering the U.S., but you must prepare well in advance of your trip. To avoid being denied entry into the United States you should apply for a temporary waiver application, a Form I-192. The Waiver is your request of the U.S. government, asking the U.S. government to waive your ineligibility status. Once processed, the document will remove your “ineligible for entry” status and will allow you to enter the U.S. In addition to the Form I-192, you will also need to complete several other forms along with providing a copy of an official police record related to your conviction. Other documentation you will need to enclose includes evidence of citizenship, copies of court documents related to your cases and U.S. fingerprint cards. The waivers and accompanying documentation will need to be submitted to a major Port of Entry, at the U.S. Border or at a Preclearance office in Canada. When deciding where to file your waiver it’s important to note that not all ports of entry are able to process waiver applications. How Can the Basiga Law Firm Help? Filing a waiver is fairly complicated and there are several applications to be completed along with fees to be paid in order to finish the process. In addition, determining whether or not your conviction is a crime of moral turpitude can be difficult. Because of these various complications it is important to seek the advice of legal counsel to help you navigate the process. The process to enter the U.S. with a criminal record can be difficult, but you do not need to face the task alone. Our dedicated professional staff will initially help you determine whether or not you will need to file a waiver for entry into the country. If a waiver is required before you travel, they will walk you through all the necessary steps to ensure the process is seamless. Do not hesitate to ask for help, call our team of professionals today at Basiga Law Firm in London, Ontario at 519-432-7780.
https://basigalawfirm.com/wp-content/uploads/2015/12/photodune-7393548-series-of-ruffled-flags-usa-and-canada-xs.jpg 365 548 Site Admin http://basigalawfirm.com/wp-content/uploads/2015/03/basiga-logo-color-300x138.gif Site Admin2015-12-01 09:14:172018-06-25 08:57:19Can I cross into the US if I have a criminal record?